Kawika has been an online writer on tatRing for over four years. His articles focus on a large variety of topics. For many psoriasis sufferers - you know who you are out there - some tasks or errands that seem to be common place for others are events that cause some discomfort and at times, embarrassment. Things like getting a hair cut, or even showing up at the doctor's office for an appointment is a gut-wrenching and anticipating event. You already have to put up with the stares from children that are so innocent and in wonder, but the adults that look at you with a measuring mind to see if you're in worse shape than they are... "Wow, I thought my psoriasis was bad...". Fast forward to a tattoo shop where there may not always be the friendliest or most sensitive people. 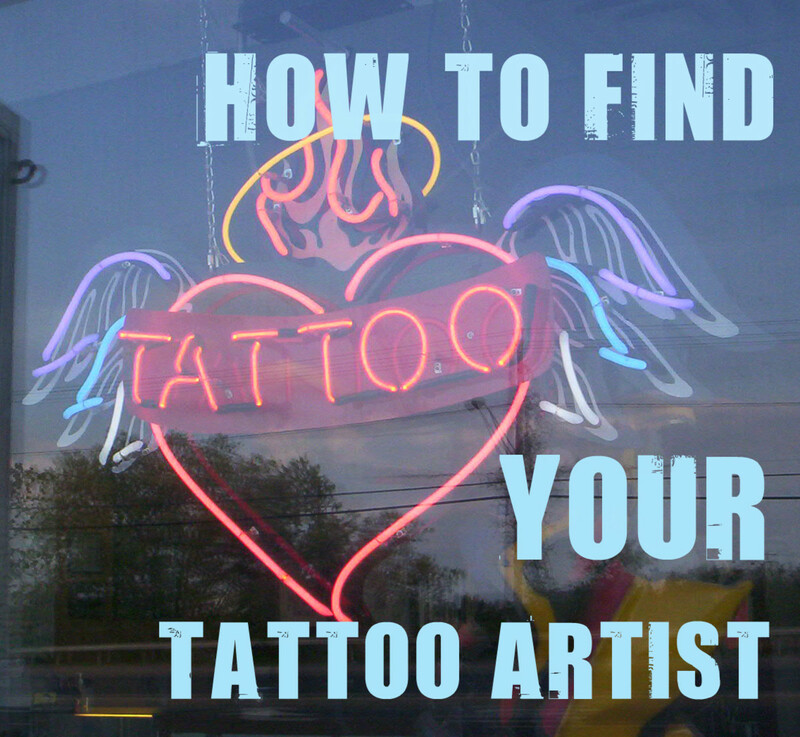 However, it's not the tattoo artists themselves that may turn you away because of your skin affliction, it will probably be other patrons that don't know or understand anything about your skin condition. Psoriasis is funny, it can suddenly appear, and as soon as it starts, can disappear. This can occur and re-occur over and over throughout your life-time. Psoriasis is an auto-immune condition where the immune system mistakenly attacks healthy skin cells. It destroys skin cells, while at the same time, other skin cells try to rejuvenate - this happens quickly and repeats over and over until layers upon layers of dead skin start to push up to the surface. You could easily peel a dried skin layer right off without any effort, and the next day, peel off another. 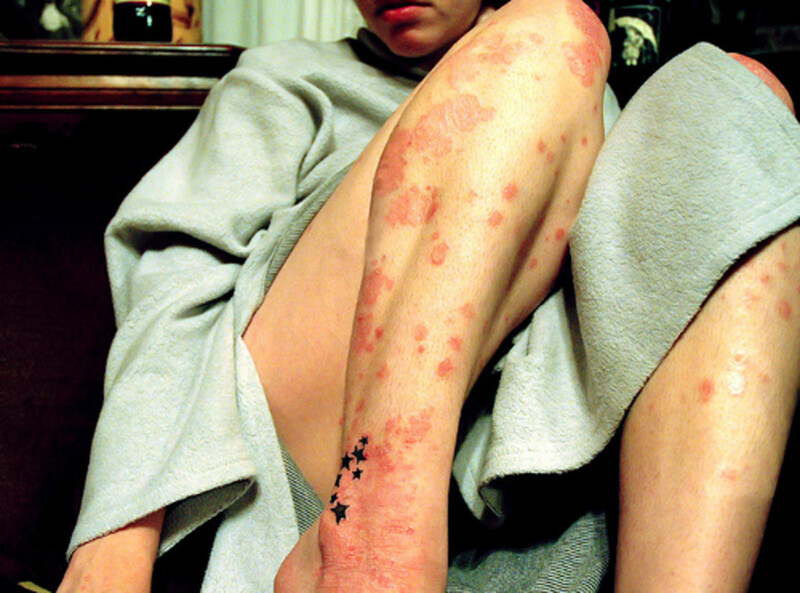 Psoriasis is not contagious and cannot be passed from one person to another. Psoriasis is very common and is more common than you might think. It can develop as early as 15 years of age, and as late as 35 - I developed my condition after shaving my head bald at age 33. My scalp was traumatized after using the razor over and over on a difficult to reach area of my skull. Within a few weeks, in that exact area, sprouted up the first signs of a psoriasis condition. Keep your wounds clean, and covered to heal fast. The trick is to find the balance, 15 minutes of sunlight a day is good for RDA of vitamin D, work your exposure from there. Wash your hands often, exercise, and keep your immune system strong. How many years have you battled against psoriasis? There are different types of psoriasis, and they even look a little different from each other. The most common denominator is that they all 'skin' - in other words, usually there is a lot of skin being pushed up to the surface. The other is that psoriasis patches are often red or white/silver. Although psoriasis can disappear and reappear many times throughout a lifetime, there are always things that you can do to better control your condition. The first step is talking to your doctor and working with him towards a med-free outcome. This is not always possible, but it is the ultimate goal - medications that contain steroids are not in your body's best interest. Try alternating your meds with more natural approaches. Once you have lived with your condition, you will have a better understanding of your body, and will know how your body reacts to certain meds, and certain natural remedies. Include exercise and any form of meditation or relaxation to help you build up defenses against stress. One last note; there are always developments and treatments to psoriasis. If you're like me, I got my meds that last for almost two years. During this time, I won't see my dermatologist because of cost, but I will when I need a new 'script'. When I do see them again, there may be new developments and treatments that they may want to try - be your own advocate for health and work with your doctor to find the best treatment for you. 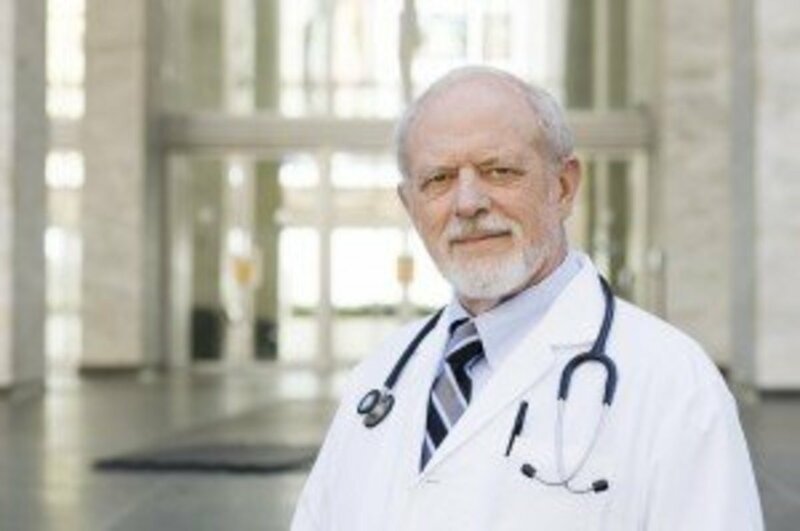 Always ask questions that you have formulated before your appointment, and always ask what kind of natural remedies have worked for some of his/her other patients. 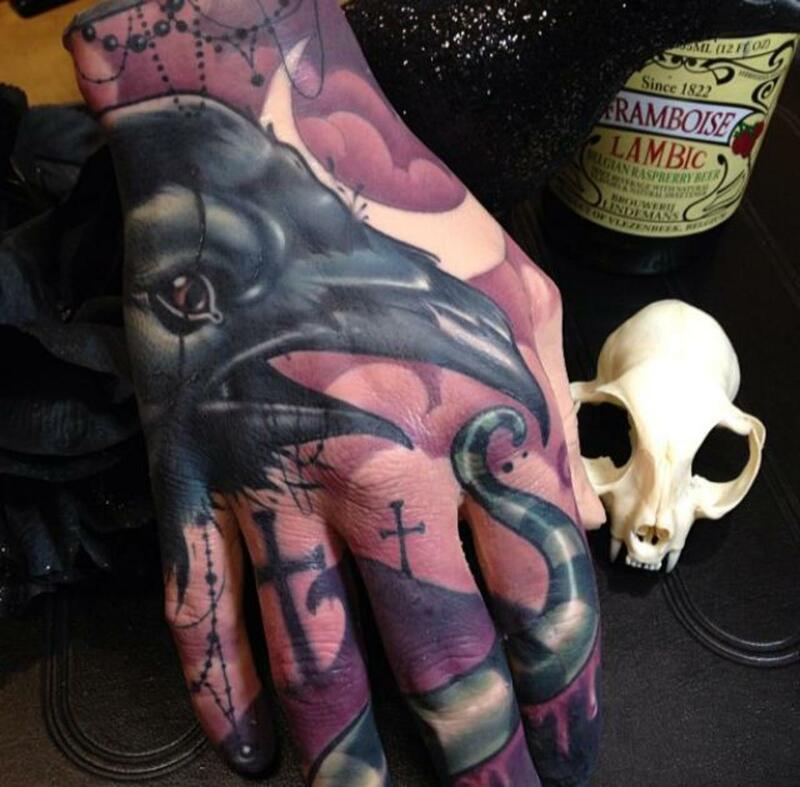 Have you ever had a skin reaction to a tattoo? No, never had a problem. No, but I know people who have. Yes, I have had a reaction, but it wasn't psoriasis. Yes, I have had a psoriasis breakout due to a tattoo. I didn't have psoriasis until I got a tattoo. Yes, you may be turned away from a tattoo artist because of your skin condition - but psoriasis break-outs aren't the only thing that artists are looking out for. Some shops refuse to do tattoos in any area of skin that might not be healthy - whether it's an open skin wound, or an infected area of 'XYZ' skin disorder. The other reason for refusal may purely be professional pride and courtesy. 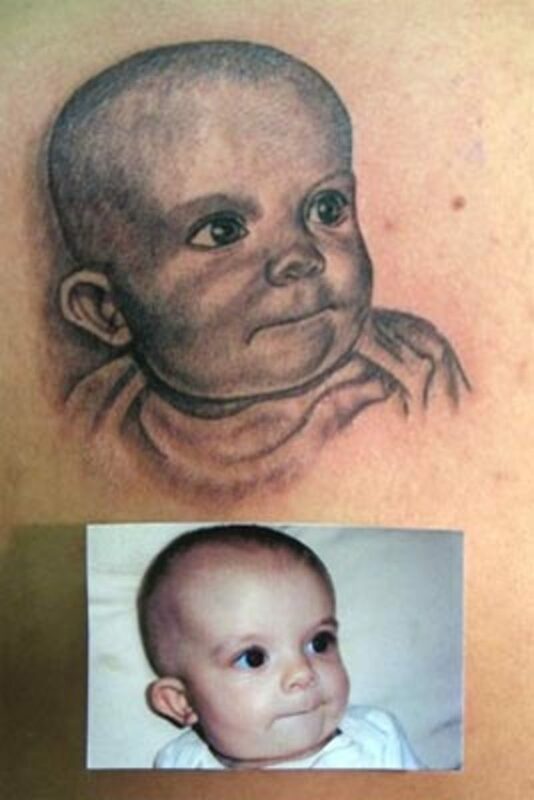 If you know tattoo artists - at least those that are any good - they have reputations that they need to uphold. If they are not comfortable working a design that they are not familiar with, they will pass it on to an artist in the shop that is. Artists are very proud of showing their work, especially when it comes out well. The problem with psoriasis, is that if it develops within the tattoo, it can cause the tattoo to fade, discolor, or even disappear from the skin of the individual. For an artist, this may be unacceptable. For some, they have to touch up the area, for others, the artist may feel that this is not possible. 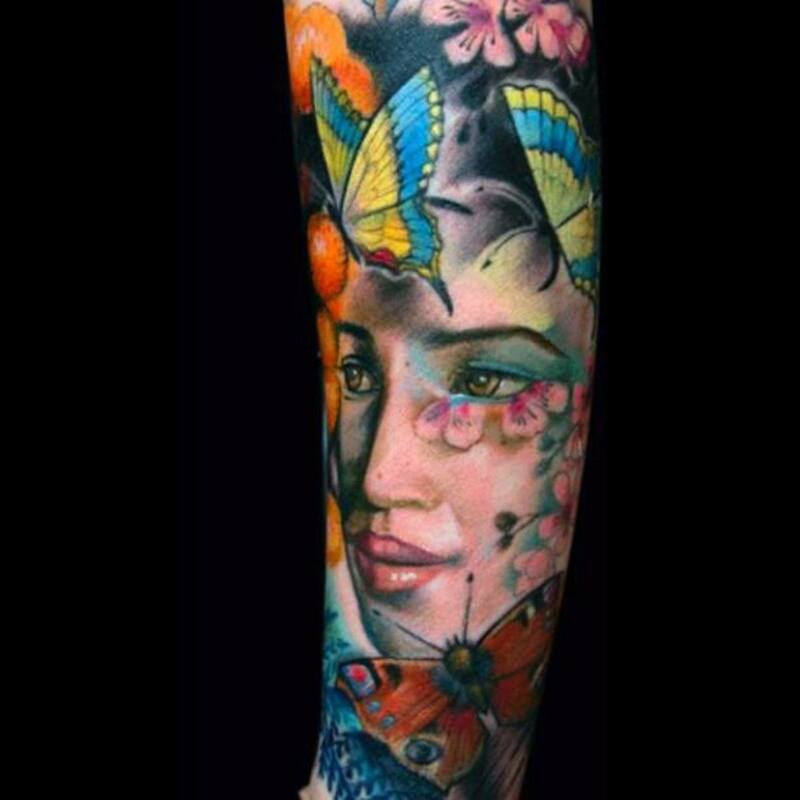 The option to fix tattoos that have contracted psoriasis is entirely up to the artist themselves. 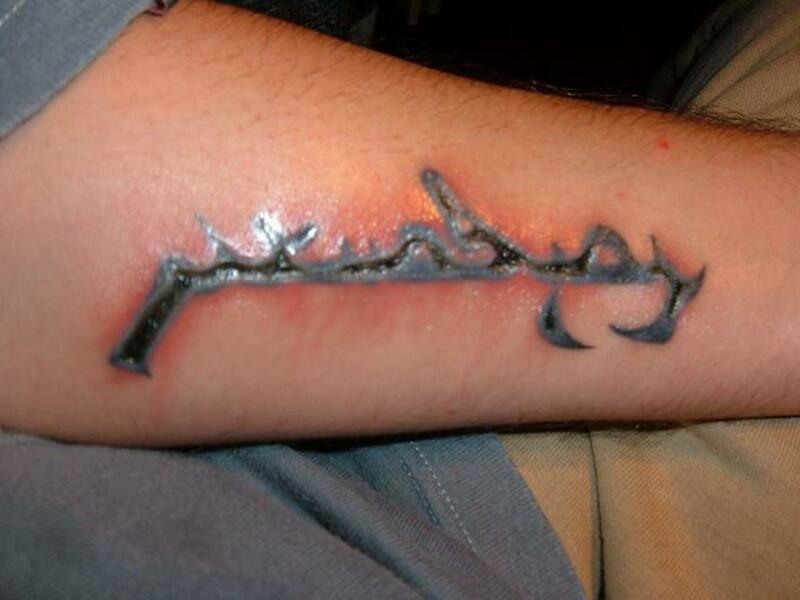 Those that won't take the risk of not being able to fix a tattoo, will turn you away. 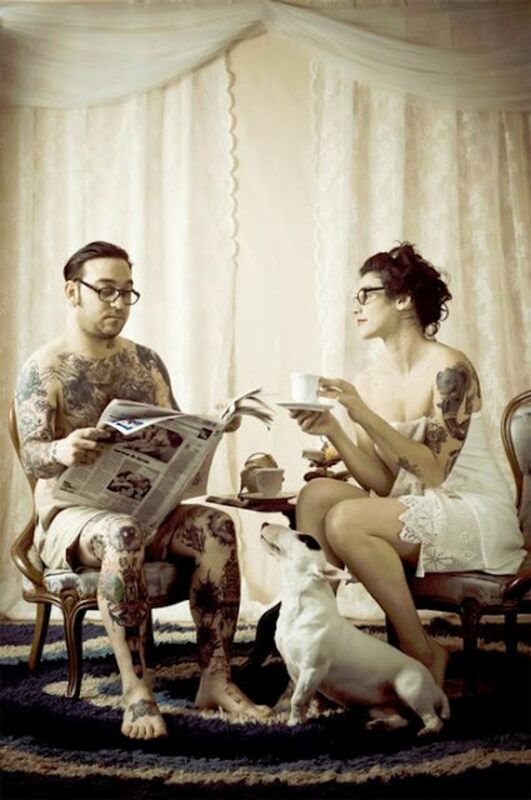 There seems to be a difference in how doctors look at tattoos and the people that want them. On the one hand, doctors understand that psoriasis can develop in an area of skin that has seen any kind of trauma. This means that if you skin your shin on a corner of furniture in your home, that particular wound could develop into psoriasis. Since psoriasis develops with trauma to the skin, the initial and continuous needle prick would definitely qualify as trauma to an area where the tattoo is being done. With this said, where ever a tattoo is on your body, psoriasis can develop. Sometimes it does, and sometimes it doesn't - there are no published studies in this area. On the other hand, sometimes no new areas of psoriasis breakout occur regardless of the tattoo placement. 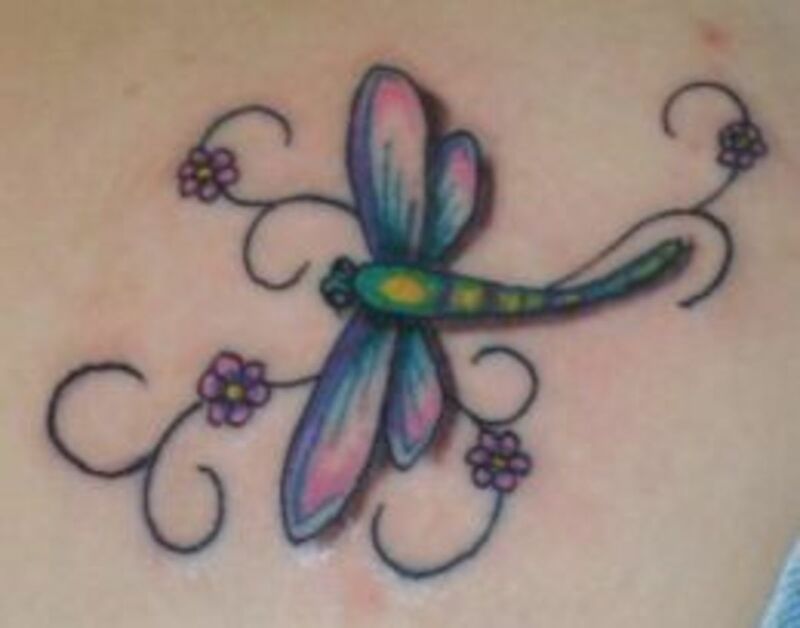 There are doctors that feel that leave the decision of getting a tattoo entirely up to the patient themselves, as long as the patient understands that there is a chance of psoriasis developing in the tattooed area. In my personal opinion, there are doctors that are against tattoos, and doctors that are lenient to the individual's decision. The doctors that are against tattoos are primarily concerned with the possibility for further break-outs of psoriasis. The doctors that are more 'pro-tattoos' are not necessarily denying that tattoos could cause a psoriasis break-out, but believe that for some people, tattoos are very important for them. Still other doctors believe that if people want a tattoo, they will get it whether or not they give they're okay. Thanks for your comment G-sleeves - yes, I found it interesting as well when researching, especially the point of view from the artists themselves. As a rule, most of the artists that have been around know what psoriasis is and the effects that may or may not happen to their work. Some will, some won't it's really up to the artists. The one thing that I would do is tell the artist that you have psoriasis, he/she will let you know where they stand with it. The good artists will already have experience with psoriasis, but like I said in the article, some will be okay with it, others will refuse. Peace. Kawi. Hi Kawi. This is an interesting and informative article, both in its general comments (particularly about the triggering causes and possible remedies of a psoriasis outbreak) and the more specific issue of tattoos and psoriasis. Although I'm not personally a sufferer, I did have a girlfriend who is, so I am sure any article like this which spreads the word and shares advice, must be welcomed. Voted up. Hi Bobski - a good support group is always good to have. More than that, an artist that is familiar with your condition would be awesome! Thanks for your comment. Peace. Kawi. 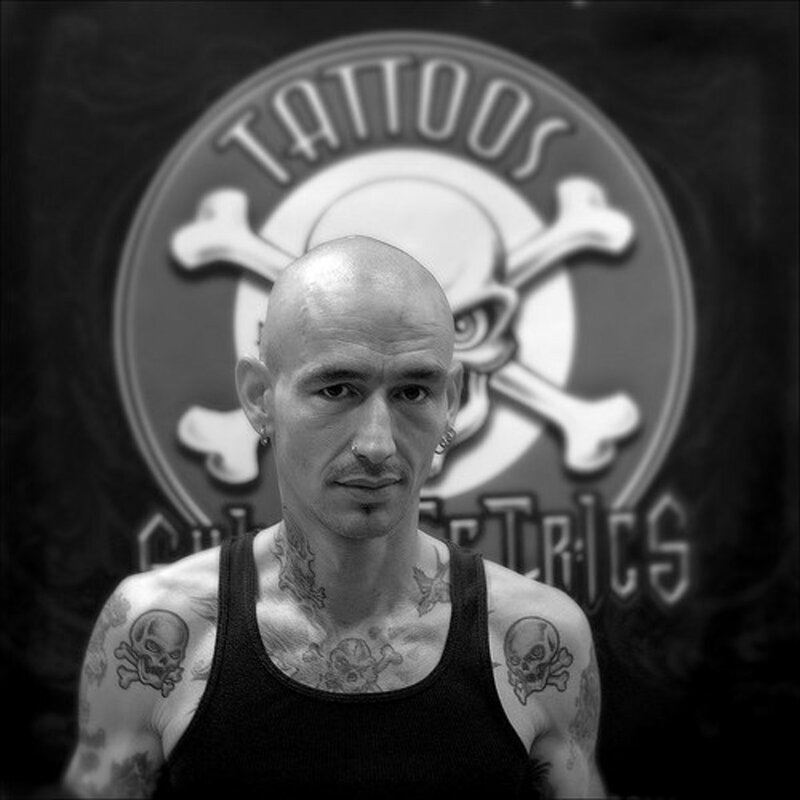 Thanks turtledog for your comment - there are a lot of tattoo artists out there that are already very familiar with psoriasis, and for some of them, it just another blank canvas that they can creat on. It doesn't phase them one bit... then, there are others that for artistic purposes will decline. Peace. Kawi. Aloha Joe, as always thanks for your comment - just got back into the Northwest - it's cold here... anyhoos, I think it's more of a struggle for the artist than it is for the psoriasis sufferer - I guess as long as both sides know the facts, it's all good. Mahalo bruddah. Peace. Kawi. I never really thought about getting a tattoo to cover up/disguise psoriasis. I don't have it myself but my partner does so I have at least some understanding of how it can effect you on a day to day basis. It's interesting to see how different doctors and artists react to the individual's skin condition but I guess it's just like anything else really. If you are determined to do something then you'll just need to find the right team of people to support you in your decision. 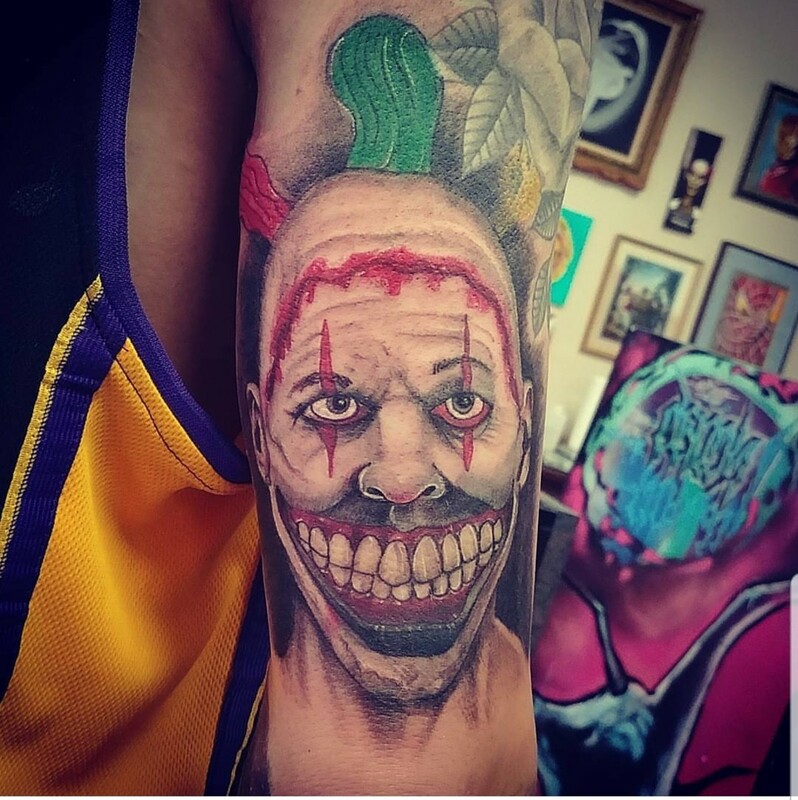 Yeah, brah, this one was really interesting because of the dilemma the tattoo artist might face as to whether or not he's prolonging or even contributing to the malady while aesthetically providing an artistic presentation. Thanks for sharing, Kawi! Aloha! Hi Hezekiah, thanks for your comment. The women pictured has guttate psoriasis - this particular psoriasis appears in little drops here and there of red or scaled silver with skin. Very similar looking, but upon closer inspection, there are differences between the two. Good to hear from you Hezekiah. Peace. Kawi. Interesting, very easily confused with eczema which can have a similar appearance.